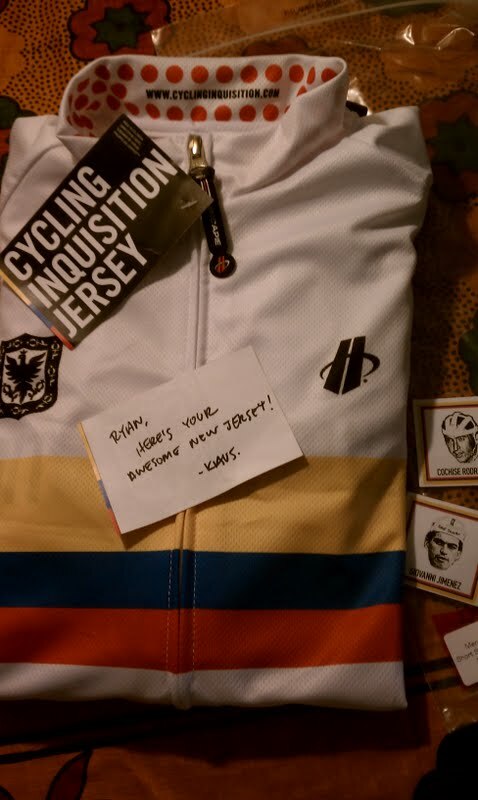 Upon arriving home from a long week at the salt mines I was greeted to a special delivery…the latest jersey offering from Klaus at Cycling Inquisition. Upon further inspection, it came with more than just stickers. 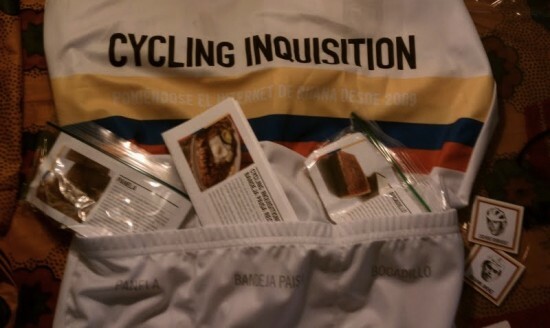 Does your jersey come with a recipe, brown caramelized sugar, or a tasty treat? Yeah, didn’t think so. Thanks Klaus! Too bad this thing doesn’t have a collar, because if it did, it deserves to be popped! This $hit is hawt!! Enjoy the weekend and keep it rubber-side down out there. This entry was posted in Art & Culture by Flodizzle. Bookmark the permalink. Klaus writes a top class blog and really advocates the hard work put in by the Colombia team today in the pro peloton. I wear his jersies whenever possible.